We know that Hyundai really wants to get into the luxury car market. 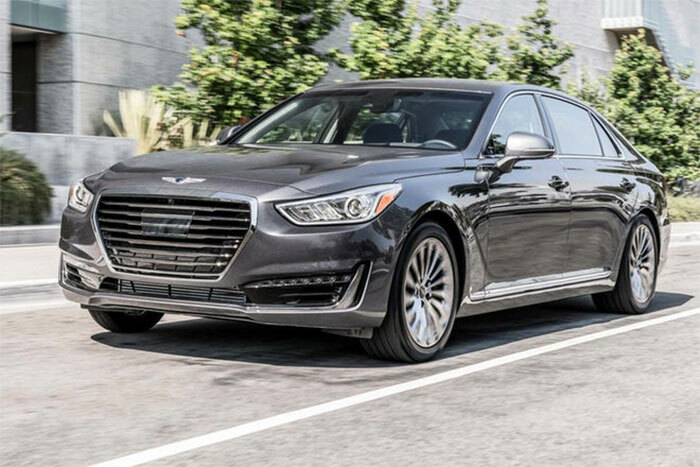 So badly does it want a stake in that high-end car market that it spun off the Genesis brand and has announced the starting price of its 2017 G90. The G90 will kick off at $69,050. That is solidly into Porsche, Mercedes, and BMW range. I’m not sure I could justify the price of a new comer like Genesis, which is essentially budget carmaker Hyundai, when you could have something from a well-established German brand for the same money. The starting price of the G90 include a 3.3L twin turbo V6 engine paired with an 8-speed auto. If you want an AWD version of the car, that starts at $71,550. If you prefer the G90 with a 5.0L V8 that car starts at $70,650 with the AWD version starting at $73,150. You get lots more standard equipment on that V8 version with full LED headlights, ventilated rear seats, power front seats, and lots more. The G90 will hit showrooms later this month and we will see then if auto buyers interested in a $70,000 luxury car both with Hyundai lots.